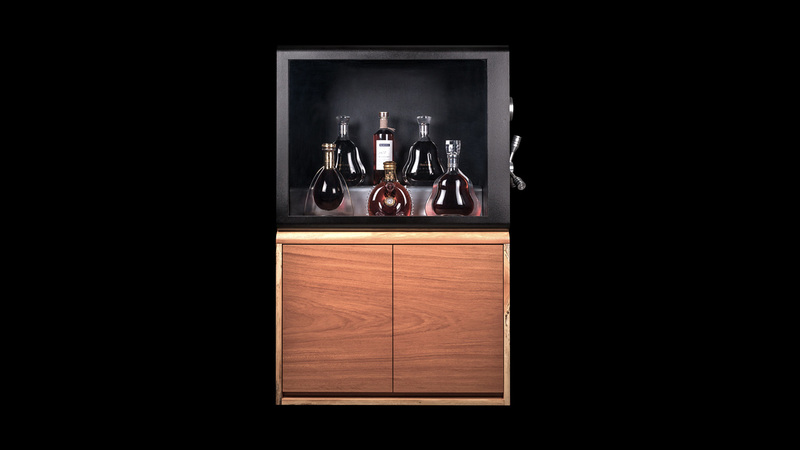 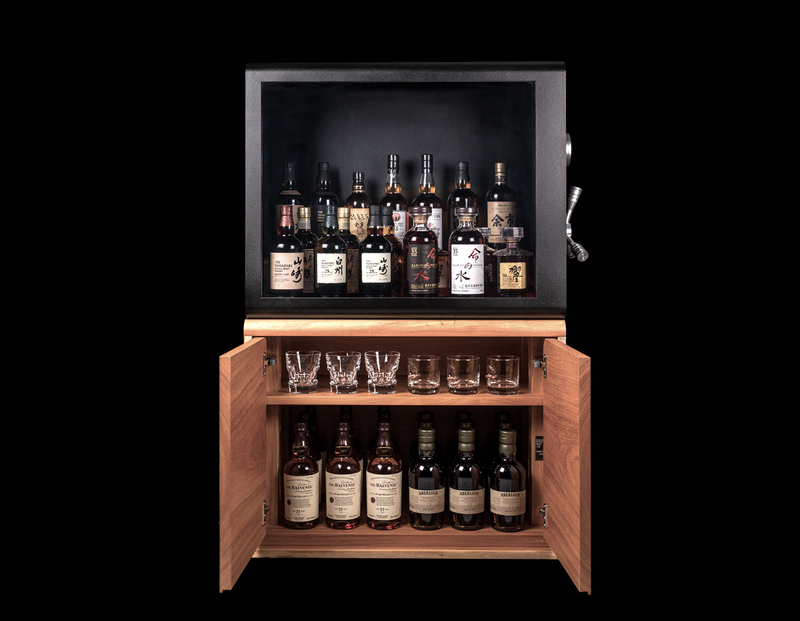 All high-end and rare whiskies deserve a spot at the home bar. 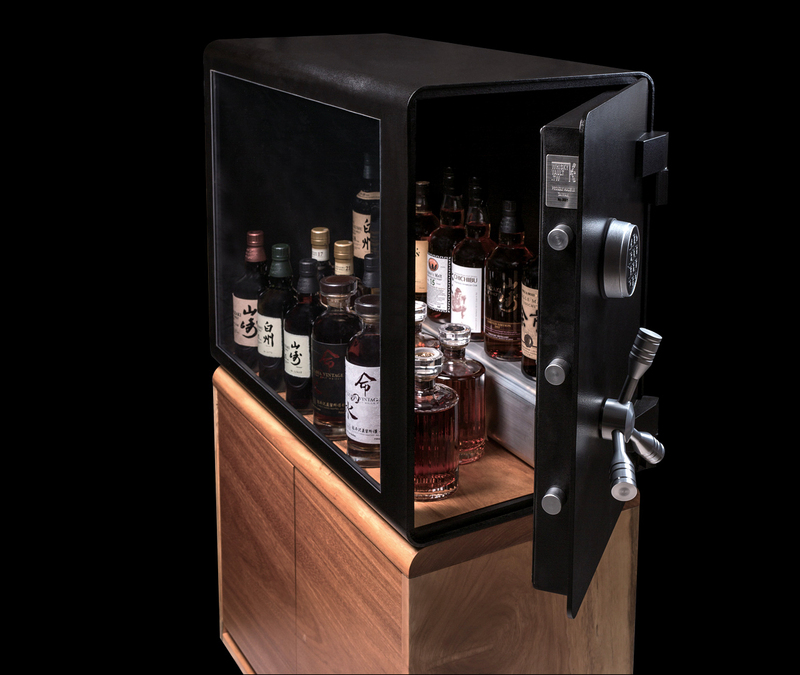 However, if you’re worried about those with “sticky fingers” in your home, then the Whisky Vault could serve as a fine solution/display case for the finest of the fine. 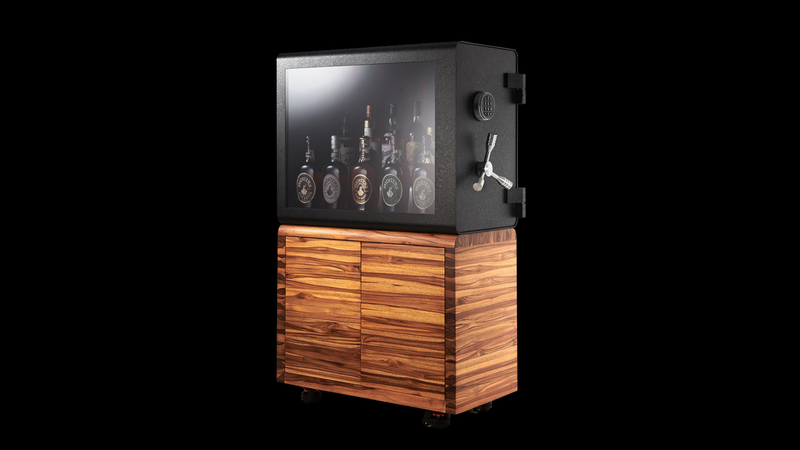 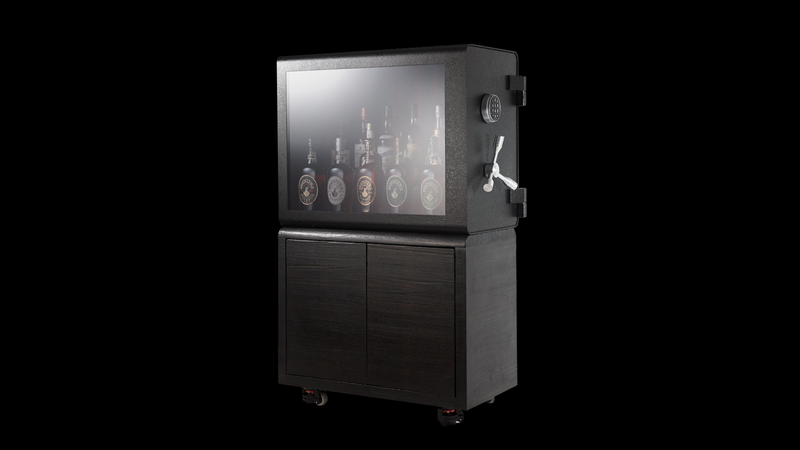 Providing heightened levels of security for any prized whisky selection, each Whisky Vault comes equipped with the likes of a bulletproof display window, 25mm vault door locking bolts, a tri-spoke handle machined from aircraft aluminum, and a UL certified LA GARD electronic lock system. 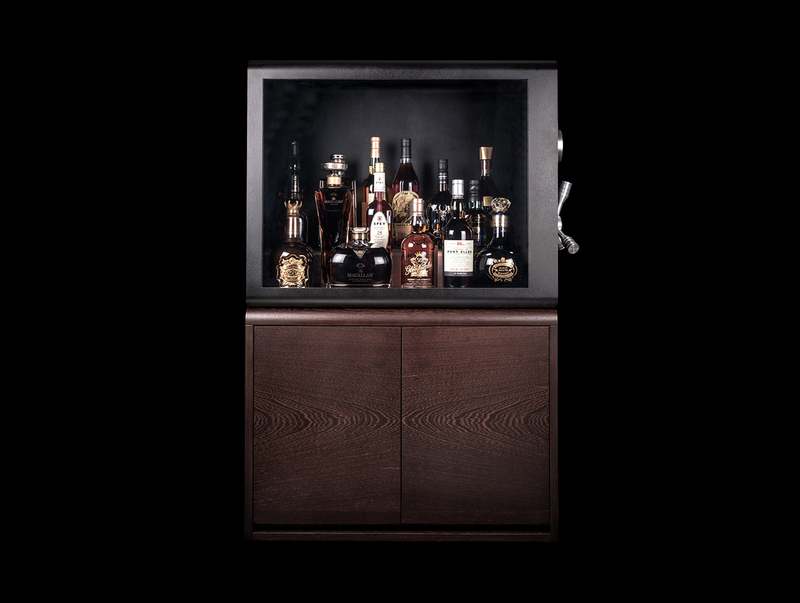 Additionally, the storage device features a solid steel plate construction as well as a solid exotic wood cabinet with upward of 800kg capacity leveling casters. 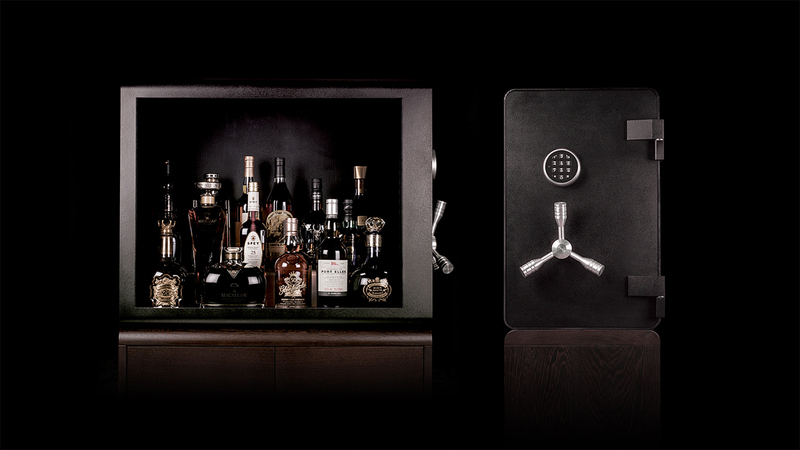 Each vault is also individually numbered and custom made to order – keeping each drop of the precious safe from harm.